Upon signing in for the first time to Liquid, you will be prompted to set up 2-factor authentication. This is the FAQ article on how to do it. Firstly, download the Google Authenticator app to your phone (Google Play Store or Apple App Store). Alternatively, you can use an authentication app like Microsoft Authenticator (Google Play Store or Apple App Store). Click Set Up 2FA (screenshot above), or hover your cursor over the humanoid icon at the top right of Liquid dashboard and click the first tab (Security). 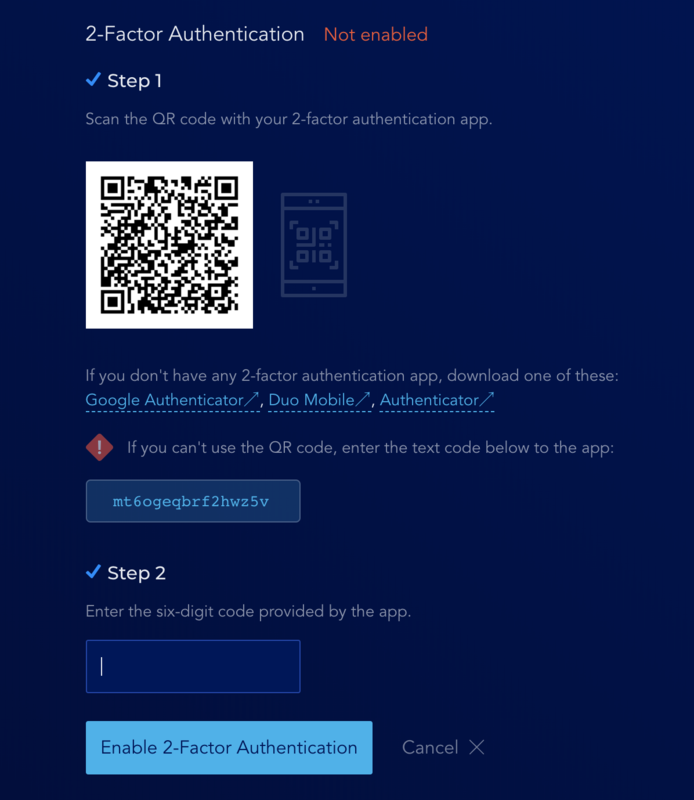 Dashboard will provide you a QR code and a text code to enable 2-factor authentication. The QR code itself is an image file. Back it up by saving it and the text code to your safety storage. Liquid does not provide backup codes so you will need to save your own in case you lose your 2FA device and need to re-enable 2FA with a new phone. The screenshot above is only an example - do not scan or save the example codes. Scan the one provided by your own Liquid dashboard. Open Google Authenticator (the app you just downloaded to your phone right before STEP 1). Tap on the plus (+) symbol and select Scan a Bar Code. Use your phone to scan the QR code provided by the Liquid dashboard. Alternatively, tap on the plus (+) symbol and select Enter a Provided Key, then enter the text code provided by Liquid dashboard. Google Authenticator will provide you a six-digit code that is specific to your Liquid account. Enter this six-digit code to the Liquid dashboard. 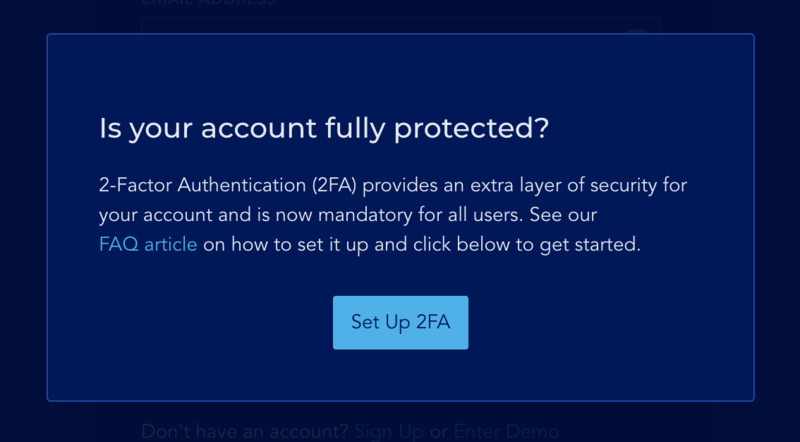 Once you have 2FA enabled, you will be asked for a 2FA code ("token") upon signing in. Whitelisting withdrawal addresses, submitting withdrawal requests, resetting/changing password, and adding new API key all require 2FA tokens.